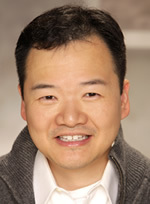 Dr. Ong obtained his Doctor of Medicine from the Faculty of Medicine at the University of Toronto and subsequently completed specialty training in neurology and sleep medicine at the University of Toronto. He is a Diplomate of the American Board of Sleep Medicine, a sleep neurologist at the Toronto Western Hospital and serves as the medical director of the Sleep and Alertness Clinic. He is active clinically managing a wide spectrum of sleep disorders. His areas of interest include nocturnal seizures, parasomnia, restless legs syndrome, narcolepsy, sleep apnea and its effects on the brain.